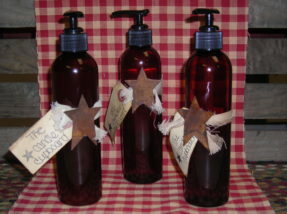 The Candle Cupboard sells handmade candles, soaps, tarts, air fresheners for your home, car, and more. We look forward to serving customers with our extensive variety of fragrances consisting of 48 everyday scents, and more than 25 assorted seasonal favorites. Add to the ambiance of your environment at home, in your auto, and at your place of business. Our items are welcome just about everywhere, all year long. Welcome to The Candle Cupboard! Each item is available in a variety of fragrances that are sure to please your senses. Feel free to stop by our store, call us to place a custom order....or order online today! Wholesale customers, please call for pricing and information. Candles, Soaps, Tarts, Air Fresheners, and More – Nationwide! Stop in to browse our store! Come in 3 sizes. Available in all of our scents! Makes a perfect gift to welcome a new addition to the family! We have a variety of different scents! Assorted variety of scents available! Available in all scents and double scented! Many different scents, good for your house or car! Available in 25 different scents! Many different scents, make your car smell good! Call to order a gift basket for any occasion! In addition, we have gift certificates that make the perfect thank you, and offer fundraiser items that make raising money FUN and easy! The Candle Cupboard welcomes you to stop by our store, call us to order by phone during business hours, and take advantage of even more convenient online ordering! Our store is open for your shopping convenience five days a week, and we can ship your order nationwide via UPS or USPS. Keep in touch by visiting our Facebook page for the latest news and reviews. The Candle Cupboard looks forward to hearing from you! © Copyright 2017 The Candle Cupboard. All Rights Reserved.